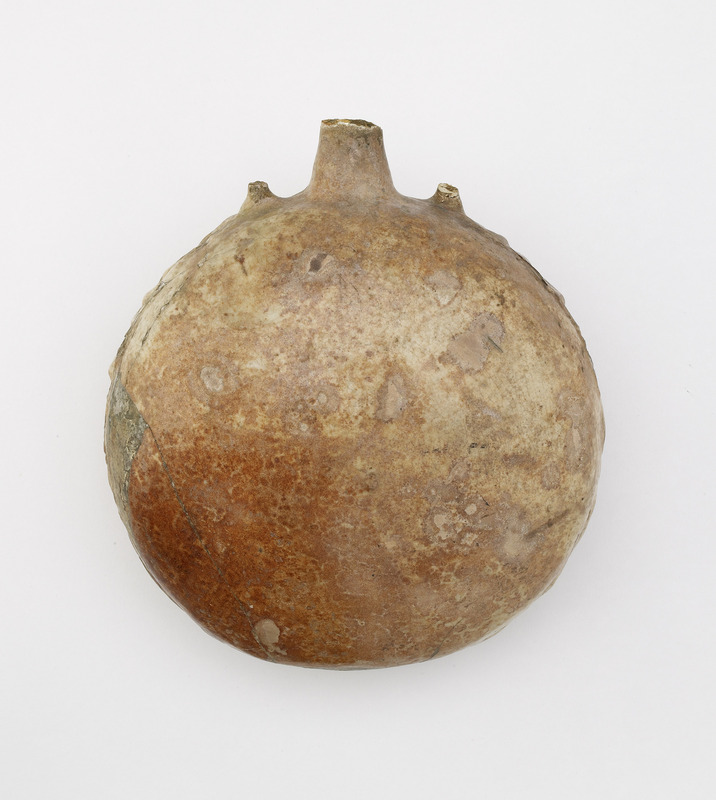 Excavated in Syria and sold to Freer from the Paris gallery of Siegfried Bing in 1905, this flattened, short-necked bottle was described by the collector as "rare and very beautiful." The varied tones of discoloration on the surface and the abraded decoration, modeled in relief, were appealing to Freer, who discerned chromatic harmonies among his already-substantial collection of East Asian ceramics, his tonalist American paintings, and ravaged, but chromatically complex, vessels like this from the Near East. In Detroit, this bottle was prominently featured with a grouping of other Near Eastern wares, massed around Whistler's La Princesse du pays de la porcelaine. "Bottle," in The Peacock Room, Freer Gallery of Art, Smithsonian Institution, Accession No. F1905.247a-b, Item #3133, http://www.peacockroom.wayne.edu/items/show/3133 (accessed April 21, 2019).